As you perhaps know, I haven’t been reading much this year, especially not since August, when the obsessive WIP happened. I’m now revising that manuscript, and let me tell you, the revision may not be as obsessive as writing the first draft, but it is still a lot more compelling than ordinary revision. No comparison. Nevertheless, it’s revision, so I am now reading again, if you count “reading for 20 minutes before bed, sometimes” as reading, which I guess I do, this year. I do wonder when and if I might actually be able/ inclined to make inroads in my (still growing) TBR pile. Fortunately some of the pile is electronic, so my house is not actually collapsing from the weight of accumulating books. 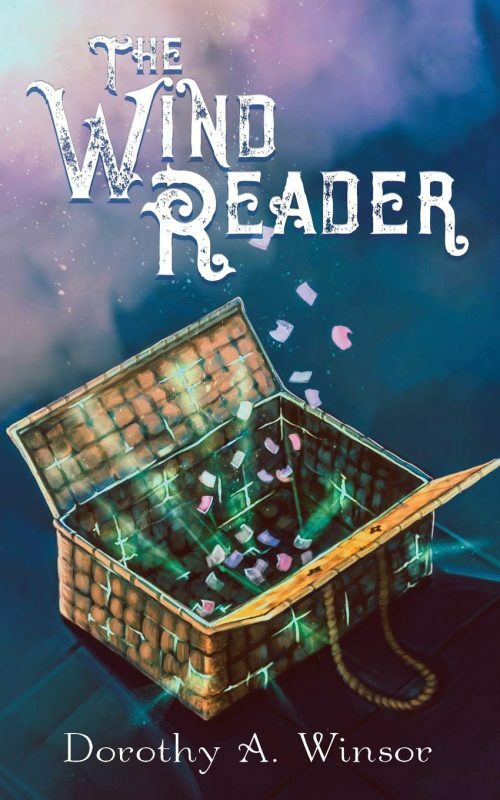 The Wind Reader is a Middle Grade story, just about perfect for taking in 20 minute chunks, at least to begin with. Doniver’s traveling with his father, plague hits the ship, his father dies, and he gets stranded far from home without a penny to his name. So Doniver falls in with a couple other penniless kids and winds up faking fortune telling to earn the odd coin and the plot unrolls from there, as various important people buy into the fortune-telling shtick. So: street kids and a gritty, hand-to-mouth struggle to survive; false fortune-telling and true-fortune telling; enemies and friends and a good scattering of characters who switch from one category to the other; princes, acrobats, assassins, and the odd gardener; and, unintentionally in the middle of everything, Doniver, trying to get home without completely compromising his honor and preferably without abandoning his friends or leaving assassins on the loose. The story was a little young for me – you all probably know I don’t read a ton of MG – but by the end I wound up getting a little too absorbed by it, so that I put off reading the last 50 pages until I’d have time to read the rest all at one time (ie, more than 20 minutes right before turning out the lights). I finally finished it during the snow day yesterday, so yay for snow days! This story includes some very important friendships, but the most intense relationships are between sons and their fathers – even if a father or a son happens, in some cases, to be deceased. Where a MG reader might notice primarily the adventure story, I was drawn in by the added depth these relationships brought to the story. And yes, there were also important daughter-mother relationships and so on, but the son-father theme is so powerful, I would call that the thematic heart of the story. If you’ve read more than one or two of my books, you can’t possibly have missed that trust is an important theme for me. So is honor. Those are the big issues Doniver struggles with in The Wind Reader. Telling false fortunes is a really big deal for him. He’s lying about something that is of great cultural importance to him. How can he justify that? But how can he not do it, given his terrible situation? Besides that, he really wants to trust Beren, the prince for whom he’s telling fortunes. But he doesn’t dare. Then things go wrong … and more wrong … and Doniver finds himself with his back to the figurative wall, forced to make very fast choices. Which of course he does, that goes without saying. “She’s smarter than you are about this stuff.” Jarka spat into the dirt. “You begged for trouble none of us needs.” He clumped down the alley, his crutch thumping with each step like a series of sharp words. His crutch thumping like a series of sharp words! That did catch my eye, so I marked the page to make sure I’d remember to mention it. But mostly the writing is unobtrusive. Well, practically any MG reader who likes fantasy. The story’s straightforward enough to appeal to rather young MG readers, probably, but there’s enough complexity to it that older readers should enjoy it too. In particular, if you have a kid whom you think would love The Power of Three by Diana Wynne Jones, but the kid isn’t quite old enough for that one, then The Wind Readerwould probably be a good choice. Plenty of the same themes, but aimed at a slightly younger reader. This was not a big deal, but the dirt and grime involved in life as street kids hit my gross-out buttons a little more than I’d have preferred. Especially Tava’s bag, but really all the dirt. Ugh. But my guess is a good many MG readers would find this element actually a plus, especially boys.